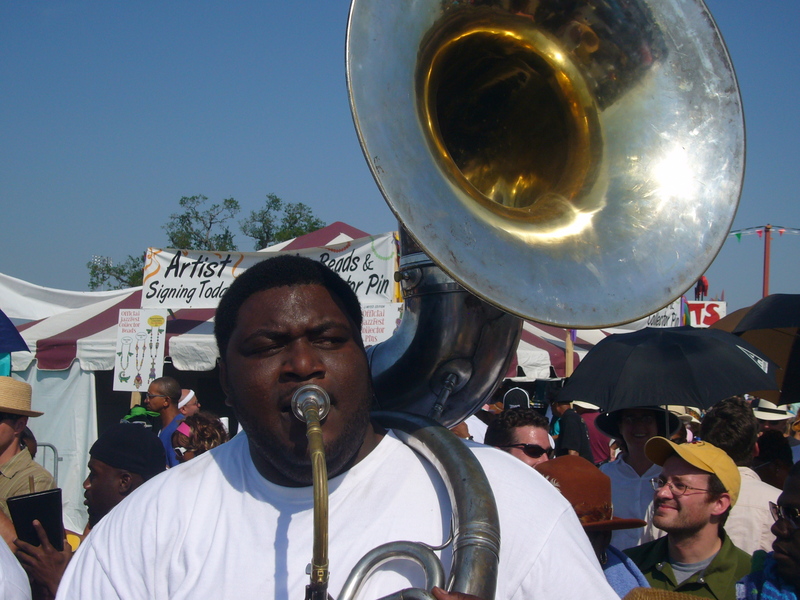 Bennie Pete is the bandleader and tuba player for the Hot 8 Brass Band. Bennie attended Alcee Fortier High School in Uptown New Orleans. After graduating in 1994, he formed the Loony Tunes Brass Band with Jerome Jones (trombone), Jacob Johnson (trumpet), and Harry Cook (bass drum), which later became the Hot 8. Bennie has led the Hot 8 through numerous lineup changes, European tours, and album releases. He is currently writing an autobiography through the Neighborhood Story Project.